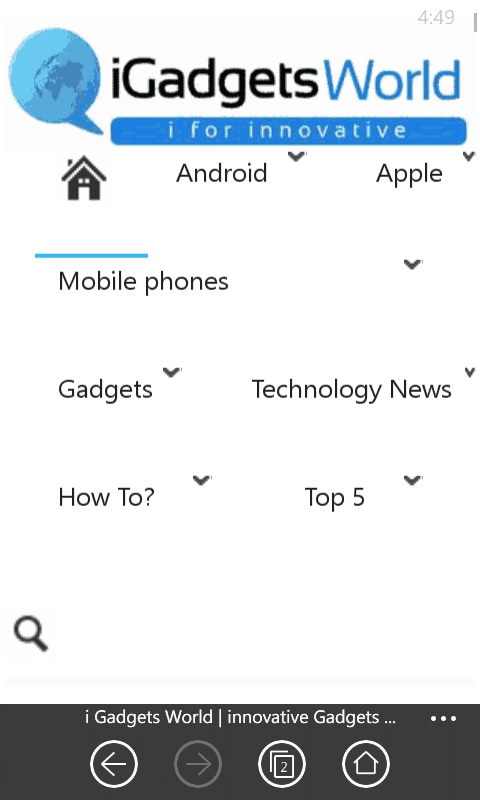 UC browser beta updated to v4.0 on windows phone. 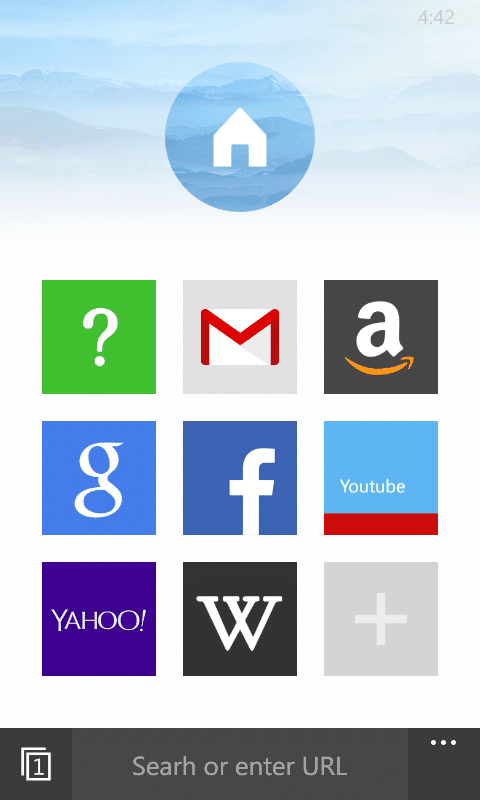 The most recent update to the private beta of UC browser for windows phone jumps it to v4.0 . This version is a revolutionary change to the app. 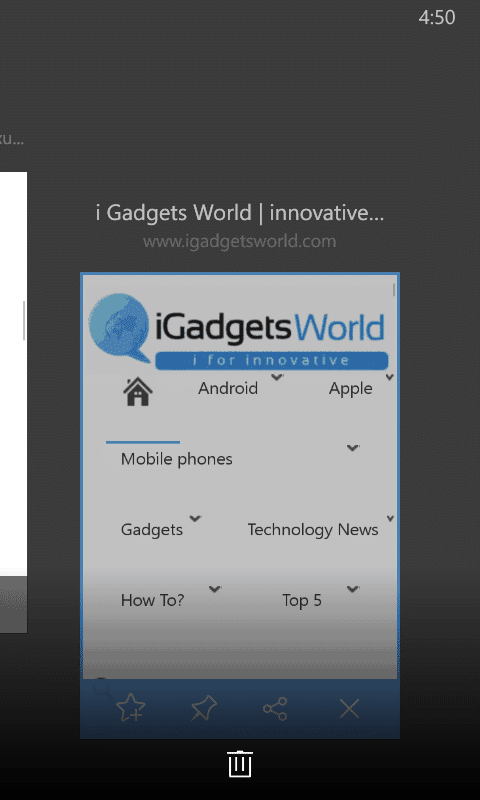 Its user interface is completely refreshed and is far better than all previous versions of the app. Here I will be discussing all the improvements etc. This is on my thinking(the things I liked, I didn’t liked and which I wished to be in this version). 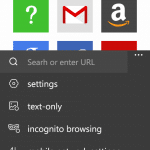 The search and address bar are combined and now it searches for the content you typed in and opens the site if you typed in a link. The tabs bar is now at the bottom left corner when on the home screen and is truely amazing. 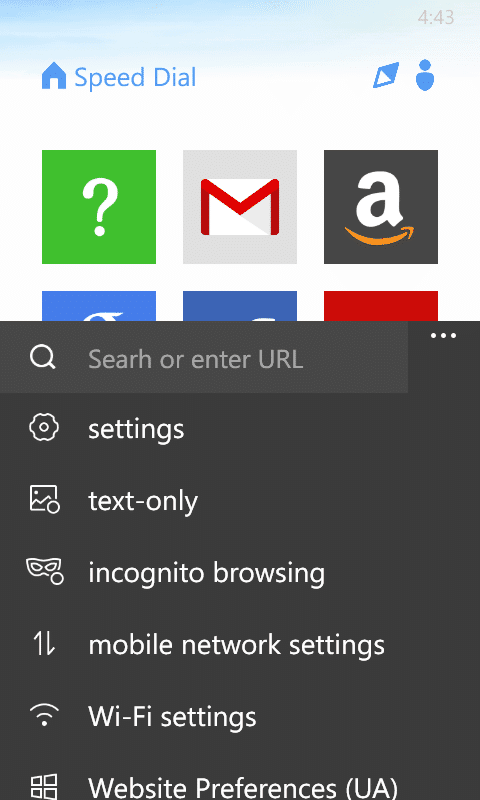 Tapping the tab button shows the screenshots of the current tabs just like we see the screenshot when we long press back button on windows phone. 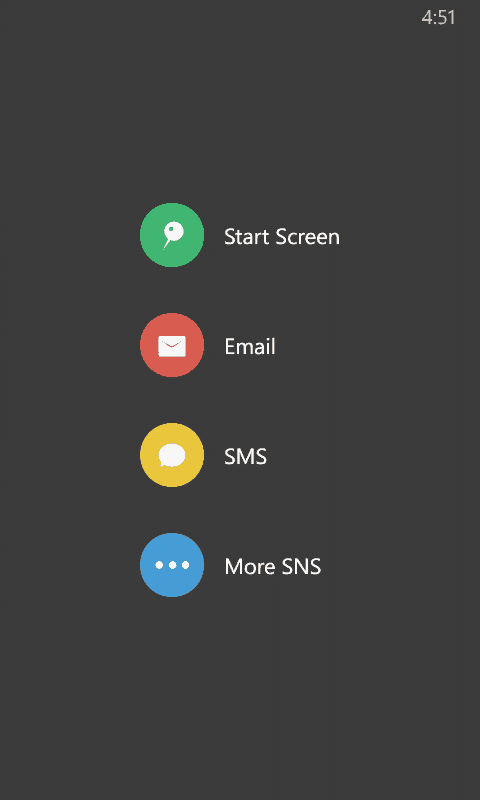 After tapping the tab button, the screenshots of the app shows up which has a few options that include add the page opened in that tab to speed dial, bookmark the current tab’s page, share option tapping on which comes the option to share the page to start screen, via email, SMS and more SNS which opens up the list of social apps installed to share via them. 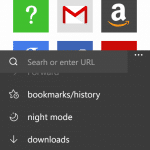 There is a ‘+’ button at the bottom of the tabs page which lets you open a new tab. Coming to the home screen, it has a very beautiful UI. I liked it very much though. 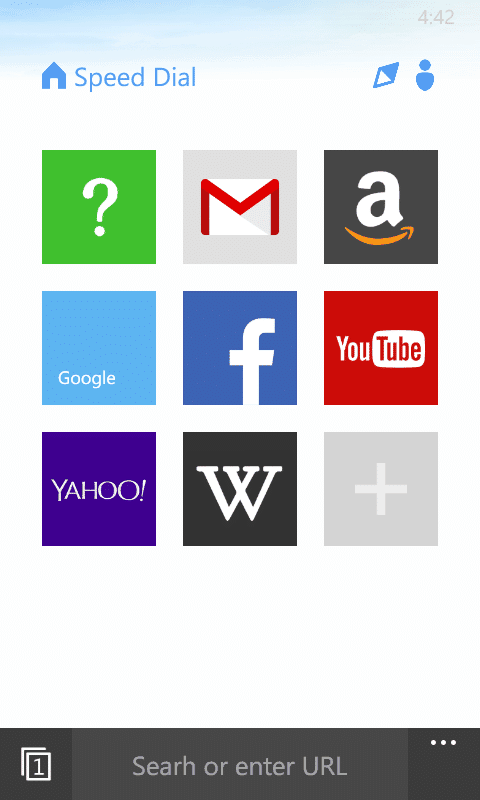 The speed dial is inspired by the live tiles and it just shows up the name of the site on the speed dial one by one in 2 seconds. 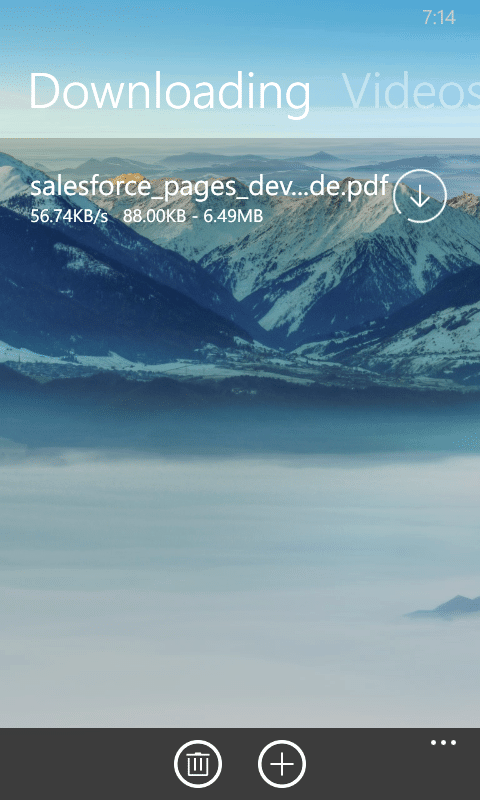 The download manager is not changed enough except its interface. The one most useful feature to me was removed in the latest beta. The ‘view it later’ option is no longer present in v4.0 so no savings page for offline use. I don’t know how can the team remove such a useful feature like this but I am highly disappointed by this step. Although I brought my disappointment in front of them and I hope they bring back this feature in the final public version. Overall this version as you can see is completely different from the previous versions. The interface is butter smooth and responsive. 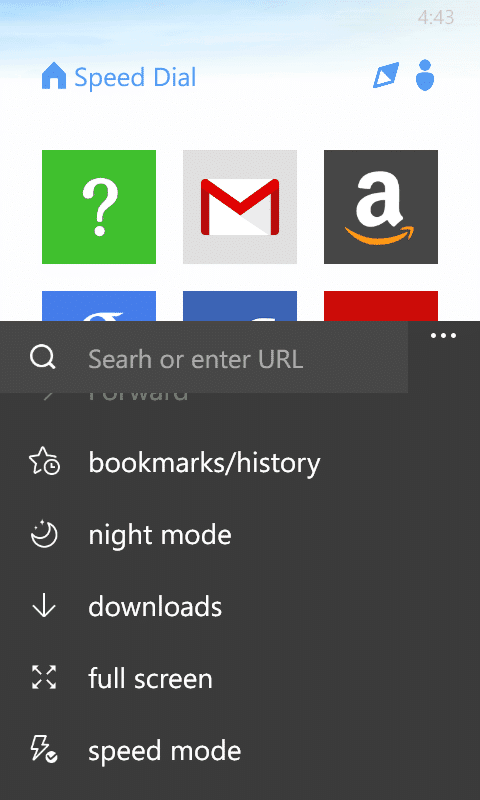 All the improvements especially the gestures used for closing tabs and all other windows phone exclusive features are awesome. I hope the view it later comes back in the final version. Go on and download this beta and give it a try. You will definitely like it as I did. 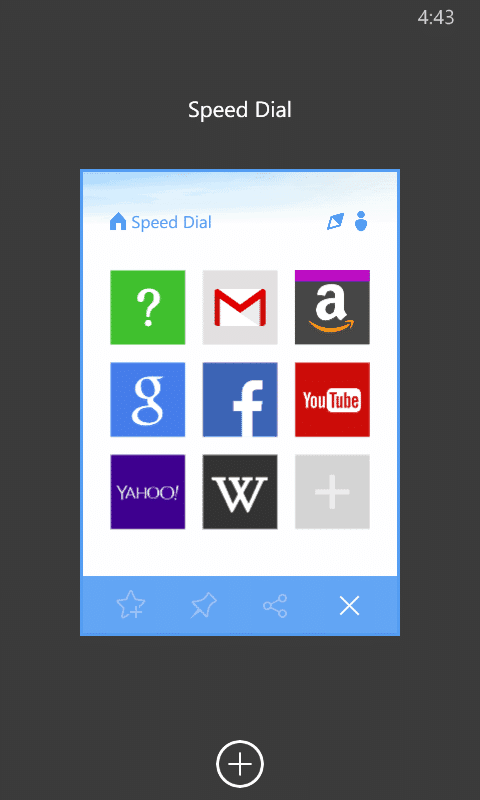 Download the UC beta browser v4.0 here. You can’t download this beta version unless you are invited for the private beta testing by UC web Inc. To get enrolled in the beta testing you need to fill a form. Fill the form here. If you are lucky enough you will get an email confirming the same. 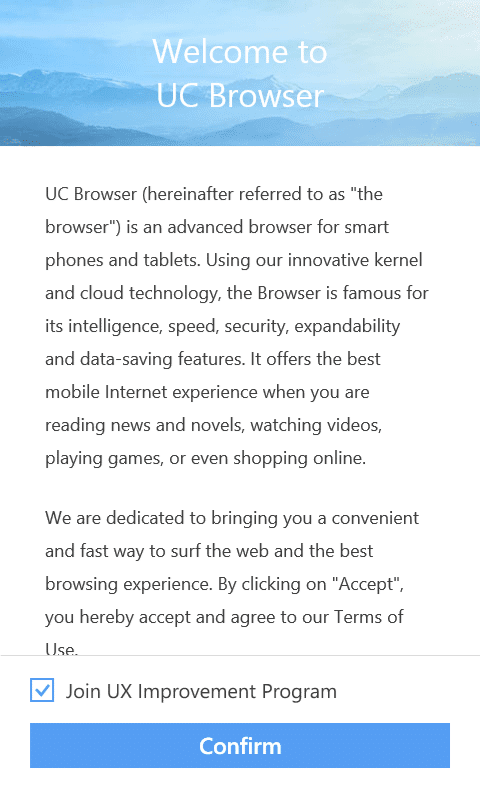 After that you can download the UC browser beta v4.0.